On December 9 we held a special training seminar in Kuala Lumpur. During this event traders had the opportunity to see Mohd Fareez Syahmi bin Mohd Sith present on various useful topics. The seminar was attended by around 30 people, who all helped make this event more dynamic by bringing in their questions and their own perspective to the discussion. As usual, we also rewarded some of the attendees with money certificates drawn in a raffle. We would like to congratulate our winners once more! Thank you to everyone who joined us for this event. We hope that you found this seminar helpful and learned something that will help you improve your profit-making strategy in the future, as well as that you made new contacts in your local Forex community. Stay tuned for our upcoming events - we hope to see you again! This day is full of news and events in favor of the USD, so it's time for the deals to SELL. Gold continues to lose its appeal for investors. Since September the rates have been in the frames of a downward trend, which intensified this month after a long phase of consolidation. In order to cater to the interests of our traders and stay ahead of market trends, we have decided to expand our list of available trading instruments to accommodate the rapidly developing sector of cryptocurrencies. The new trading instruments included to our list include Litecoin (LTCUSD) and Etherium (ETHUSD). Furthermore, all cryptocurrencies have been allocated in one category in the terminal, which you can find under the name Crypto_CFD. Bitcoin, which was previously in the CFD category, was moved to a new group and renamed in the terminal to BTCUSD. Partners will receive a commission of $10 per lot from trades on cryptocurrencies. These new trading instruments are currently available for trading only from standard and swap accounts. We hope that you would enjoy trading with these new tools and make lots of profit! This week the Federal Reserve increased interest rates, but the dollar didn't change much. In yet another move contrary to the monetary policy trends elsewhere around the globe, the United States Federal Reserve chose to increase interest rates by another .25% to 1.50% this Wednesday. This week we would take a look at what motivated that decision, as well as what the consequences will be for finance. To help you celebrate the winter holidays we are bringing out a special new seasonal bonus! This bonus will be available for everyone who makes a deposit between $100 and $1000 in the period from December 15 until January 15. 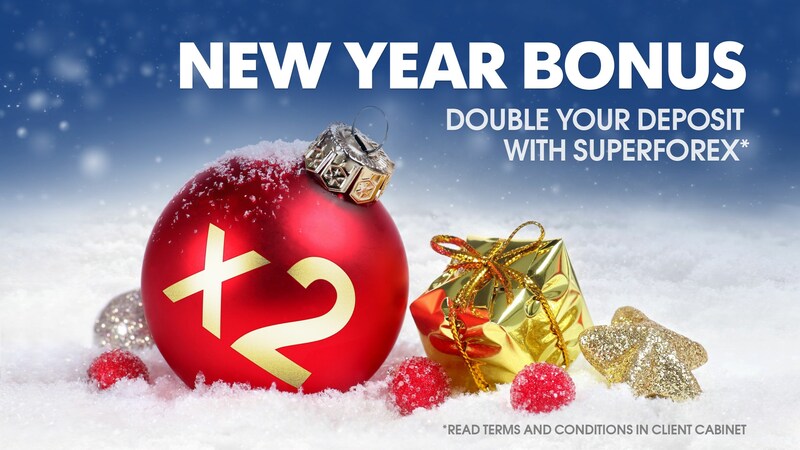 The New Year’s bonus will double your deposit! As per the standard for most bonuses, the bonus funds are not withdrawable and are intended to be used for trading. You can withdraw the profit earned from trading with the bonus. For a full description of the New Year’s bonus, please check its page in the Client’s Cabinet. To claim the bonus, please contact our support team after you’ve made a deposit. Please note that the bonus will be issued to only one account per customer, i.e. if you have multiple accounts, you can only receive the bonus on one of them. We wish you good luck in your trades! On December 17 between we held yet another fascinating seminar for traders in Kota Kinabalu, Malaysia. 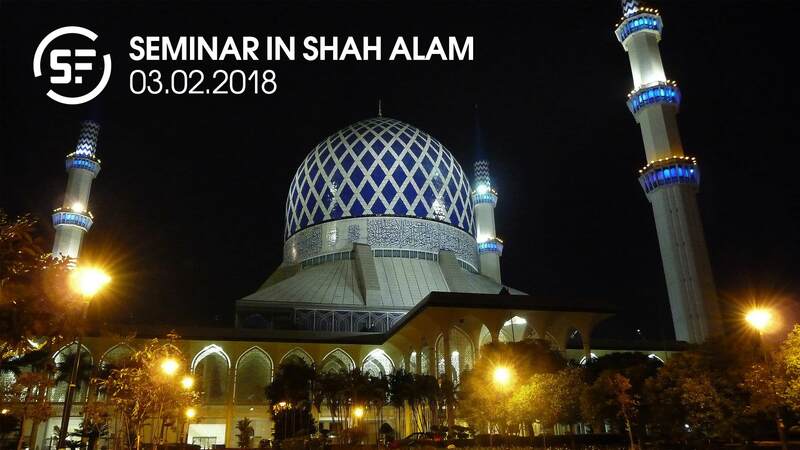 The seminar was planned with all sorts of traders in mind, so it included a wide range of topics to intrigue both newcomers and experienced traders. Some of the topics covered were an overview of the services provided by our local depositor, using the WTC technique, and a presentation by our CEO. 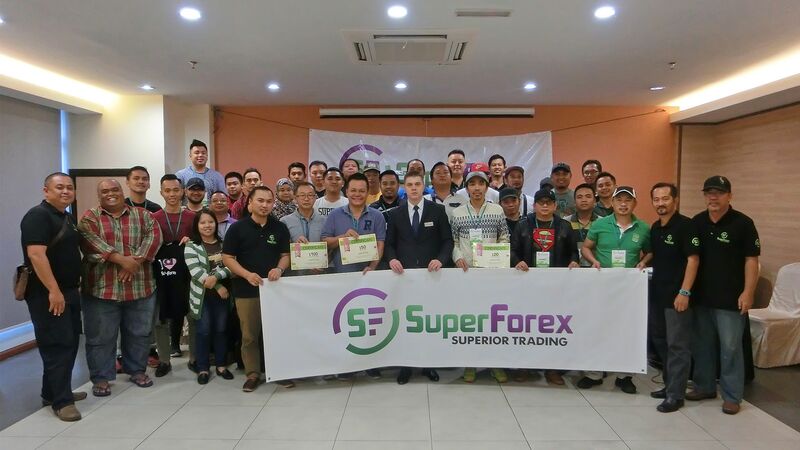 The organizers also took great care to answer the questions of the 50 attendees of the seminar and shine more light on the newest SuperForex services which can help traders increase their profits. As always the seminar attendees had a chance to participate in a lottery for prizes. We would like to use this opportunity to congratulate the winners of money certificates once more! Stay tuned to our social media channels and follow our email announcements to learn about any upcoming seminars we may be holding in your vicinity, as those would offer you a great opportunity to expand your knowledge of Forex trading, win prizes, and meet other Forex-interested people from your community. As the end of the year approaches, we take a look at Bitcoin, the year's best performing asset. As we are only a week away from the new year, it is a good time to reflect on what went on with the global markets this year. Without a doubt the most fascinating instrument to watch in 2017 was the world’s most famous cryptocurrency, Bitcoin. The rapid downward trend has been completed in late November. The NZD was under pressure because of the political situation in New Zealand, RBNZ monetary policy. the minimum has been reached but now NZD has found incentives to counter the U.S. dollar. Today we do not expect the release of macroeconomic news from the UK. With regards to the United States, a weekly report on crude oil reserves and a number of other less significant indices will be published. Both currencies have been supported by the increased commodity prices but the CAD feels more confident and has more perspectives for investors. The deals to SELL would be most effective. Subscribe and follow the news and there! 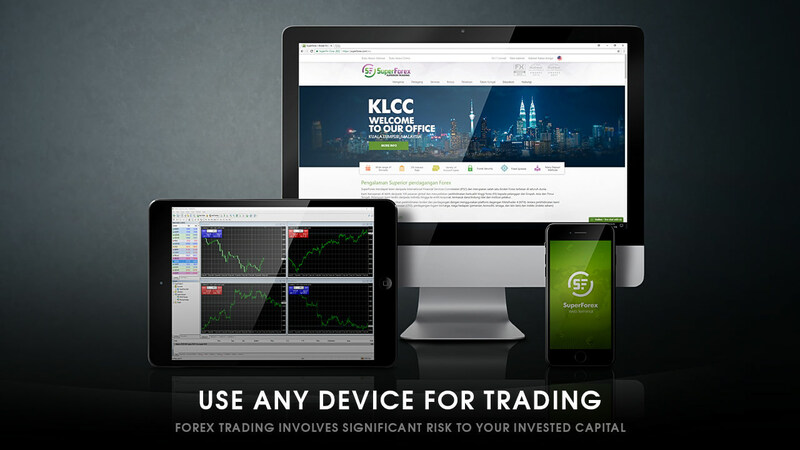 Only the latest news from the world of Forex for every day. All news and events of our company will also be broadcast there. We take a closer look at the protests in Iran and how those might interfere with the global markets. Usually at the beginning of a new year we tend to take a look forward and try to give you some important events to look forward to in your trading year. However, right now something far more important is going on and we thought it would be best to take the time to talk about it: the Iranian protests. Dear friends, we are proud to inform you that we will organize the Annual Award Ceremony "The Best Partnership 2017" for our partners in Malaysia. The competition is aimed at identifying the best partners of our company. The last half of the 2017 showed that the MXN cannot resist the strong dollar, despite the rising oil prices and a relative improvement of the economic situation in Mexico. At the same time, the Mexican government didn't impact the MXN value. As a result, in December the inflation rate increased to 6.77% which is the highest level for the last 17 years. This has been achieved mainly due to the weakening of the Mexican peso. We want to remind you that only half a year remains before the World Cup in Russia. Therefore, hurry up and participate in our contest, so you can have the opportunity to win 2 tickets for the matches of the best national teams of the world! Start earning extra rewards immediately by registering for our SuperForex League contest below. Your trades will now earn you footballs - the more of these you collect, the higher your chances are of getting an awesome prize. This game is compatible with live accounts of the type: Standard, Swap-Free (Islamic), or No Spread. A look at what this year might have in store for some of the most popular currencies. 2018 is here and so are some of the first report from Europe, Asia, and North America. With this mind, we thought it might be helpful to look at some general expectations that experts have for this year in terms of the financial markets: what’s going to grow, what would decline, and all that good stuff. 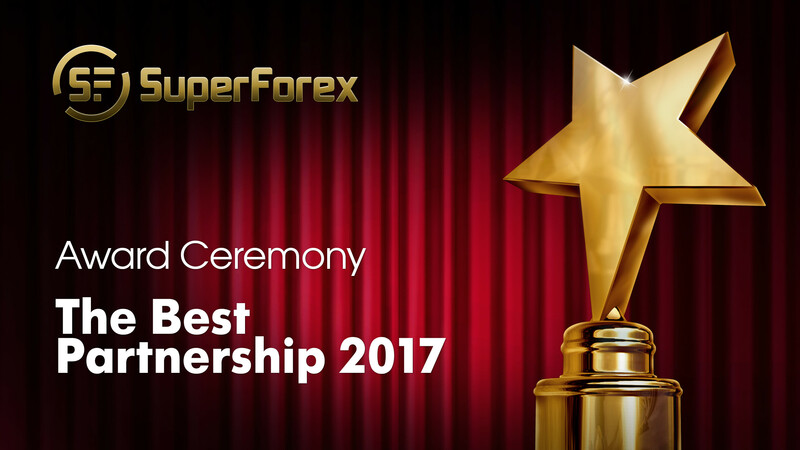 Dear traders, superforex always strives to provide maximum assistance to all the clients of the company. 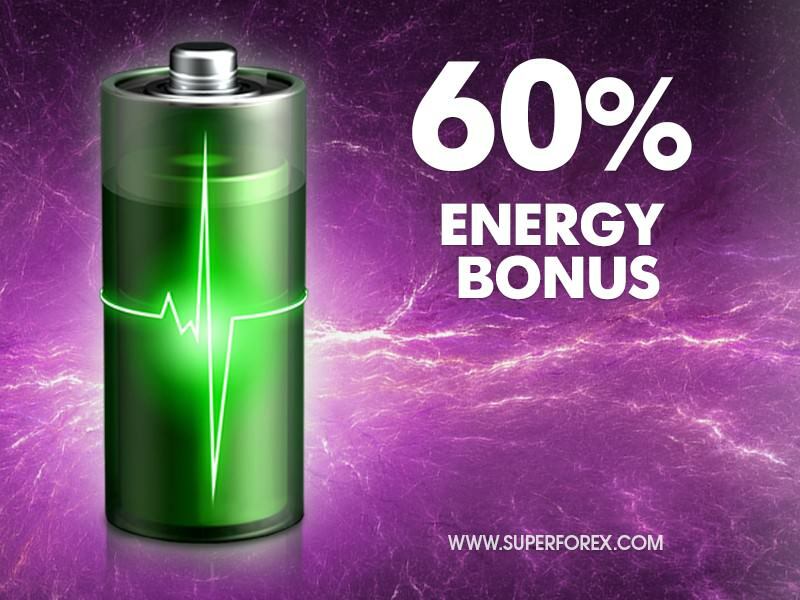 And specially for you, we have prepared a bonus that will give you additional energy for trading. Thanks to our Energy Bonus, you will receive an additional 60% to your deposit, which will help you make more profitable trades. Order the bonus right now and start trading with extra energy. We want you to always feel comfortable using our services, which is why we keep expanding and translating the content on our website. By adding new languages we hope that you would be able to find the information you need faster and enjoy trading with us more. 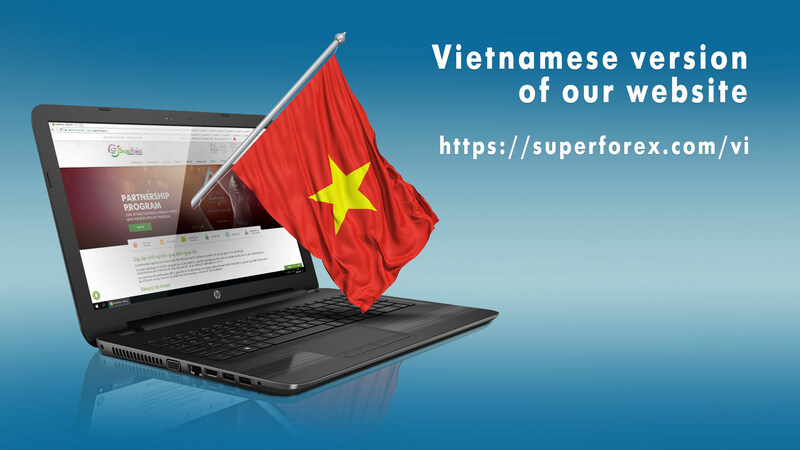 We are happy to announce that our main website is now available in Vietnamese. If your language is not on this list, do not despair: we would continue to work on further translations so as to make our services accessible to more and more people around the world. Thank you for choosing is as your broker! Investors are back to the safe assets. It's time for the deals to BUY. At the end of last year GOLD was decreasing in price amid a strong dollar and the growing popularity of cryptocurrencies. But in mid-December the situation began to change: Bitcoin's rapid growth is over and the dollar became vulnerable and less attractive for investors. SuperForex is glad to invite you to our new Forex Trading Seminar which will be held on February 3, 2018 at the Nexus Regency Suites & Hotel, Shah Alam, Malaysia. All of our event participants will gain new knowledge about Forex, which will lead you to improved trading results and a deeper understanding of processes on the markets. We know how to be a successful trader in the modern world: our speakers will share their knowledge on successful trading strategies at the Forex market. Whether you are a newcomer, or an experienced trader - you will be able to get the latest information about new techniques, strategies, management of risks and various types of philosophies of Forex trading. 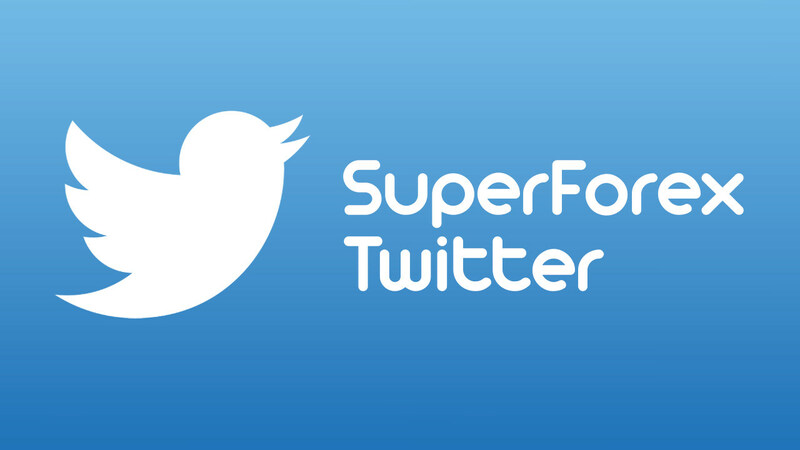 Of course you’ll also find out about current offers and promotions of SuperForex. The best part about it is that this seminar is free! Moreover, the luckiest participants may win one of 3 certificates for a total of $1000. The event will take place from 12:00 PM to 5:00 PM. With the newest reports on the GDP of China, it appears that the economy is growing. The economic woes of China have been something we’ve spoken about before on our blog. The country has the second-largest economy in the world and trade relations with all countries, including even the isolated North Korea. However, China’s growth slowed down over the past seven years, causing global concerns. We would like to notify you that the terms and conditions of our Profi-STP type of account have been changed. The Profi-STP account is designed specifically for traders who are interested in big investment opportunities which yield even bigger profits. With the updated conditions, now the minimum lot size for orders with these accounts is 100,000. Furthermore, the Profi-STP will from now on function as a No Spread type of account where a commission is charged ahead of the order execution process, allowing you to see exactly how much your trade is going to cost. We are also going to offer you lower commissions than ever before by reducing our standard commission by as much as 20%! The minimum deposit amount remains unchanged at $20,000. We hope that these updated conditions will allow you more flexibility and will enable you to chase even bigger profits from now on. 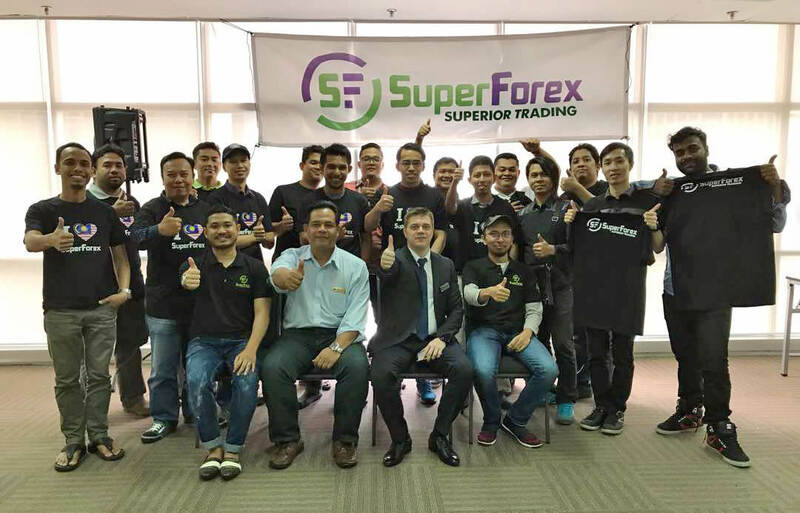 SuperForex Company continues to constantly improve its work and meet high standards of quality. That is why the company is implementing the most advanced services, introducing them in the brokerage services. Our services have a user-friendly interface, flexible settings, innovative content. They are distinguished by high efficiency, the ability to save time, effort and money. All these qualities of the provided services give the trader new opportunities for profit making on Forex.